This WEBQUEST will engage your students in discovering what a conjunction, interjection, and a preposition are. The students will go on a quest to discover what these parts of speech are and how they are used in the English language. 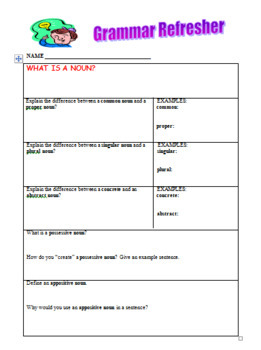 Along the way they will also review the function of nouns, pronouns, verbs, adverbs, and adjectives. 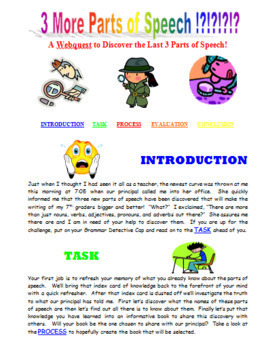 Included in the WEBQUEST are a number of links that will send your students to various websites to explore the parts of speech. 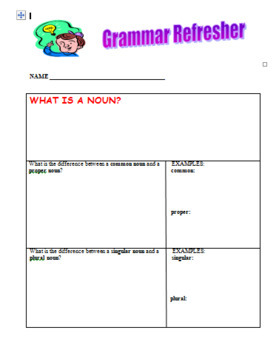 A GRAMMAR REFRESHER worksheet is included for them to take notes about each of the parts of speech. Both a modified version and full version are included with the modified version only focusing on the main components of each part of speech. At the end of the webquest the students will be asked to show what they have learned by creating a STAPLELESS BOOK with an online program. 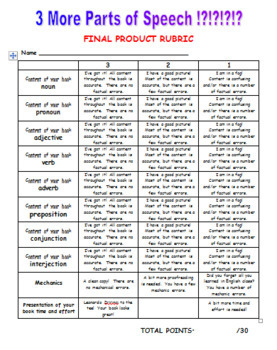 A RUBIC is included to grade the final project with.